Mr Michele Nicoletti (Italy, SOC), rapporteur of the PACE Political Affairs Committee on Corruption as governance regime: a barrier to institutional efficiency and progress, in co-operation with the Action Against Crime Department of the Council of Europe, gathered a number of academic experts and practitioners in Venice on 2 December, to discuss policy challenges related to the fight against corruption. The workshop on “Corruption and its trends: a policy challenge” was opened by the Deputy Secretary General of the Council of Europe, Ms Gabriella Battaini-Dragoni. Professor Mark Knights, Professor of History at the University of Warwick, highlighted that corruption has historically-specific roots and anti-corruption strategies need to fit the culture of the country. “Barriers to progress are often social and cultural and attitudes are often embedded in ideas of friendship, kinship, gift-giving, and are harder to change” he said. He added that anti-corruption policies worked best in the past when there was popular involvement and a public discussion as well as programmes targeting particular institutions. According to Professor Emanuela Ceva, Professor of public ethics at the University of Pavia, “educational policies related to anti-corruption should be part of the duties of the State”. Monika Bauhr, Associate Professor at the Quality of Government Institute Department of Political Science of Göteborg University, drew a new distinction between “need” corruption, when citizens pay a bribe for services they are legally entitled to, like health services, and “greed” corruption, which concerns bribes that confer personal advantages which the citizen is not legally entitled to, such as paying an official for a government contract. Nicoletta Parisi presented the experience of the Italian Anti-Corruption National Authority (ANAC) and Professor Alina Mungiu-Pippidi, Director of the European Research Centre for Anti-Corruption and State-Building (ERCAS), focused on the Romanian experience, where an anti-corruption agency ended the culture of impunity but was not sufficient to combat the phenomenon effectively. Models which have proven to be successful in a specific country would not necessarily be equally effective in a different cultural or political environment. Mr Quentin Reed, PHD and anti-corruption consultant, and Mr Yves Moiny, Deputy Prosecutor General in the Court of Appeals of Brussels, discussed current trends in the fight against corruption, in particular asset recovery and beneficial ownership. 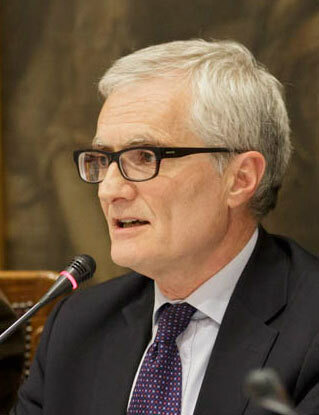 Finally, Mr Nicoletti stressed that education and a full-scale mobilisation of society, including networks of experts, institutions, citizens and non-governmental organisations, were essential to promote change in social and cultural attitudes and to step up the fight against corruption at all levels of society. Qui il comunicato del Consiglio d’Europa. Qui, al minuto 11, un servizio del TGR Veneto.